Immigrant Visa Party and Seminar - Aristrocrat Restaurant Manila (April 17) - Gateway to Canada | Canada Immigration Consultancy! Did you miss last Saturday's Immigrant Visa Party and Seminar? Here's your chance. 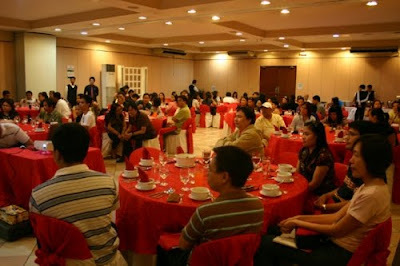 We will have another immigrants visa party this coming May 1, 2010 April 17, 2010 at Aristocrat Restaurant in Manila. During the visa party, we'll be conducting our in-house pre-departure orientation seminar to prepare our clients on their settlement in Canada. Simultaneously, we will be conducting an information seminar for those who are interested to live and work in Canada! If you want to learn how to immigrate to Canada in just 6-12 months, you may attend this immigrants visa party. Interested? Click here for online reservation. Venue will be at Aristocrat Restaurant in Malate Manila. Registration Fee is P500/head inclusive of dinner. Mark your calendar - it's April 17, 2010 May 1, 2010, Saturday, 4pm.